The GDB100/30 variable injected pump are the special equipment which are applied in injecting cement paste and mortar in the injecting project. They are mainly used in grouting curtain, concretion grouting, anchor grouting and transporting grout which are in the largely and far distance occasion and so on. These pump have strongly adaptive abilities with largely density and high pressure (work pressure 15Mpa or so) grouting curtain and injecting mortar (diameter<2mm). They can be widely used in various and complex geological structure, especially in the basic dealing project of the dam hydroelectric station. 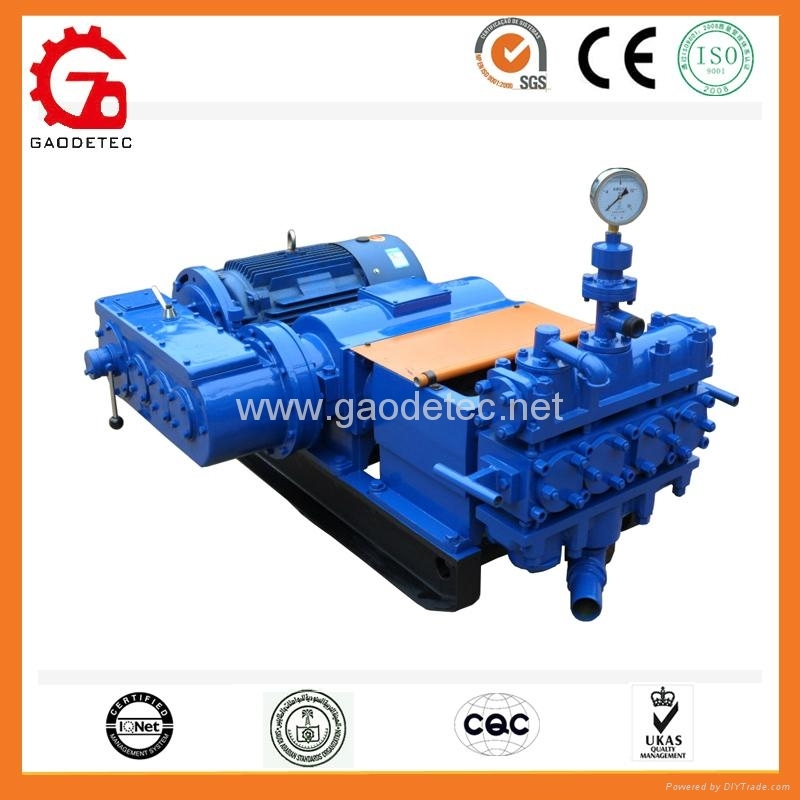 In addition, these pump also can be used in the drilling in the deep core as cement pump, in transporting mortar in the high pressure spurt, and in the anchor grouting in the high slope and far distance. 1.single-acting with four-cylinder,the flux is more uniform and the pressure is more steady. 5.The plunger cavity has completely sealed,adopting oil cooler to prolong the service life of plunger sealed device.